Dwayne Johnson is facing a cruel and heartless world. His newest movie, Empire State, will not see a theatrical release. Instead, the Liam Hemsworth costarring film about two childhood friends and a robbery will go straight to DVD. Johnson plays a detective who stands in the way of the thieving pals. The Film Stage suggests that director Dito Montiel is possibly to blame. He's the author of the memoir A Guide to Recognizing Your Saints, which he adapted for a big-screen treatment. You'd think names like Robert Downey Jr., Shia LaBeouf and Channing Tatum would be more bankable than the movie's $2 million worldwide intake, but this was 2006 — the days before Iron Man, Transformers and Magic Mike. A similar thing happened with Montiel's 2011 cop drama The Son of No One, which only grossed $30,680 and saw negative reviews. Whatever the reasons, the push to the home video market doesn't exactly entice us to see what the Rock is cooking. 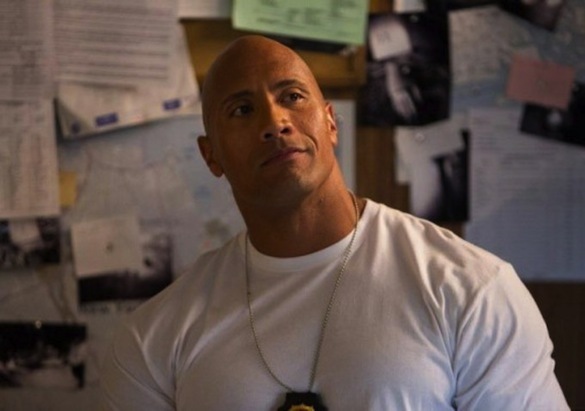 The actor's somewhat bizarre career, consisting of testosterone-filled action flicks, kid's movies and TV spots, has been coasting along with his latest Fast & Furious 6 role (soon to be reprised for Fast & Furious 7) and Michael Bay's Pain & Gain. Perhaps Johnson should stick to movies that only contain an ampersand in the title? Are you down for some Empire State on DVD action? As Film Stage points out, the director's commentary is sure to be entertaining if nothing else.